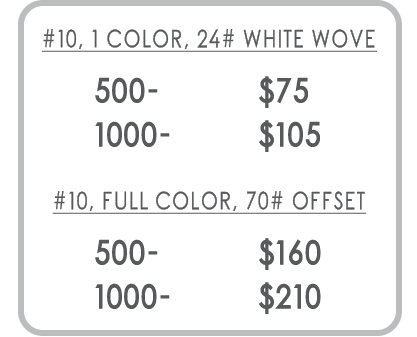 Custom envelopes get noticed. A great-looking envelope stands out and makes people want to open your letter. 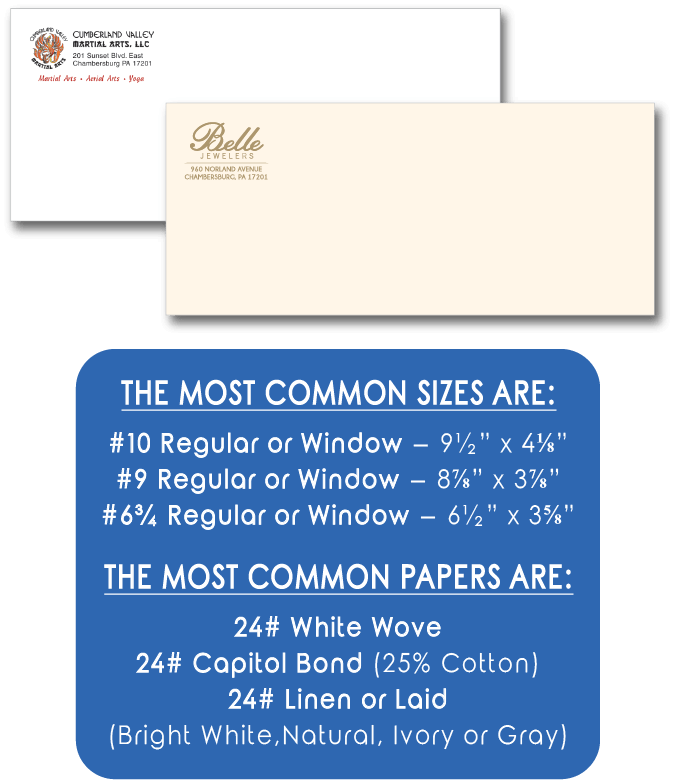 Envelopes come in many different sizes, paper varieties and can be printed from 1 color to full color.